ከታሪክ ማህደር – Ethiopian Orthodox Church: History- ከከበረ ምስጋና ጋርለ ባለ መብቶቹ! *1 We have taken the privilege of embedding this document as published in the internet. If you feel an infringement of your copyright through our publication of your document, please let us know. We will remove it as soon as we get your message. 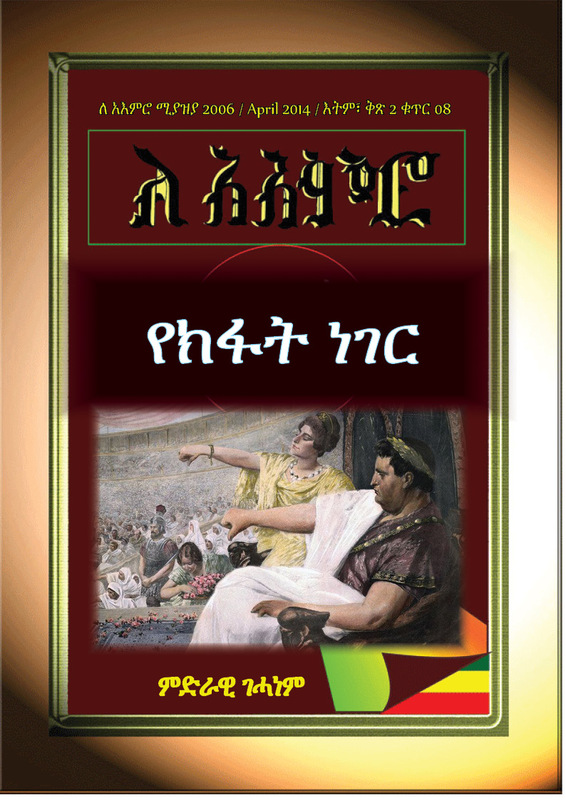 This entry was posted in ሌሎች / others, ታሪክና ባህል, አዳዲስ ሰነዶች/የጥናት ወረቀቶች/Documents. Bookmark the permalink.